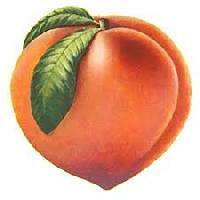 Peach is a widely adored delicious juicy fruit. It is origins from China and now popular in all over the world. The health benefits of peaches are merely known to its regular eater. Peaches are a rich source of vitamins, minerals, antioxidant and other chemical contents. This fruit looks like an apple in shape measuring about 710 cm in diameter and about 130g in weight. It is naturally juicy and sweet with a lovely aroma. Here are seven major nutrition and health benefits of peaches with some serving process. Peachesare juicy and versatile summer fruits that are native to China and South Asia. Its Latin name isPrunus persica, and peaches are a product of a deciduous tree and grows in temperate regions across the world.Peachesbelong to the family ofRosaceae, which also include fruits like plums and cherries. Peaches are bulky and firm in nature but very low in calories. One large sized peach will give you just 68 calories. Sure, if you have them with breakfast they will keep you full and prevent you from having unhealthy snacks before your lunch. The bright red, yellowish skin of peaches is due to the presence of compounds called polyphenols that act as powerfulantioxidantshelping your body in several ways by protecting the cells against damage due to free oxygen radicals. So, keep in mind that you need to eat the fruit along with its skin because peeling it will actually take away all the extra benefits that the fruit offers. Here aretop health benefits of antioxidants. Vitamin Cis also an antioxidant present in abundant amount in peaches. You will get about 19% of the recommended daily intake by eating one large peach. Vitamin C is required by connective tissues of the body and has a powerful immune boosting property that helps your body to fight viruses and bacteria causing infections. The high amount of potassium in peaches is great for your kidney health. They act as a cleansing agent for the urinary bladder and keeps you away from kidney related diseases. Peaches prevent inflammation of filtering units of kidneys (nephritis) called nephrons. They also help naturally to remove kidney stones. If you want healthy eyes and improved vision, you should surely eat peaches. 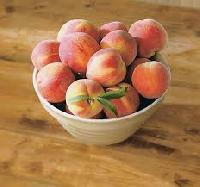 Peaches are rich in beta carotene, a compound that is required to produce vitamin A in the body. 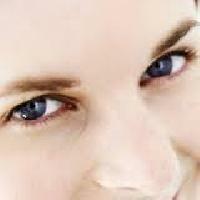 Vitamin A is important for maintaining a healthy retina. Beta carotene also prevents eye disorders like night blindness and agerelated macular degeneration. All fruits rich in fibre will help your digestive system to work smoothly. And peaches are one of them. Because of their high fibre content, peaches help to wipe out all toxins from your colon, stomach and liver. They help digestion by pushing out excess waste through the colon. Antioxidants in peaches help in protecting you againstcancerbut studies have especially noted their chemoprotective ability in breast cancer cells.A study by Noratto G and colleagues found that phenolic extract from peaches inhibited the growth and proliferation ofbreast cancercells. Peaches contain several nutrients that can help your heart and circulatory system stay healthy. Vitamin K helps in preventing blood clots while iron helps preventanemiadue to iron deficiency. 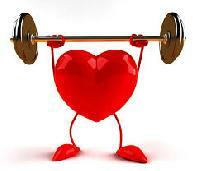 Antioxidant and compounds like lycopene and lutein help reduce the risk of heart disease to a great extent.